STT likes to think of itself as a one-stop-shop when it comes to fighting the wind industry, but there are plenty of others who are dedicated to helping communities and wind farm neighbours. In Australia, the stand out has always been Dr Sarah Laurie (above) and the Waubra Foundation which the good Doctor fronts. The Waubra Foundation website is probably the best resource for noise affected people that money can’t buy. STT recommends the Waubra Foundation for anyone either threatened by or suffering from incessant, turbine generated low-frequency noise and infrasound. 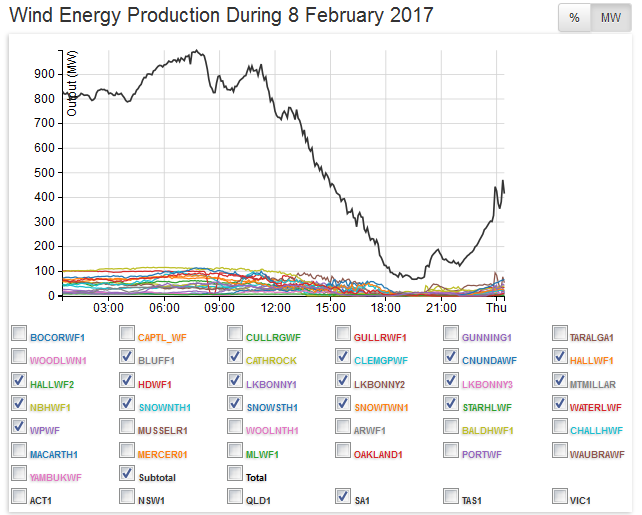 When it comes to showing the pathetic ‘performance’ of Australia’s wind farms, we swear by (and the wind industry swears at) Aneroid Energy’s website which collects the output data from the AEMO for every wind turbine connected to Australia’s Eastern Grid (as well as presenting data from all other generation sources). It’s the publicly available data from that site that has helped expose the wind industry’s ludicrous claims that wind power is a serious substitute, capable of replacing conventional generation sources, such as coal, gas and hydro. 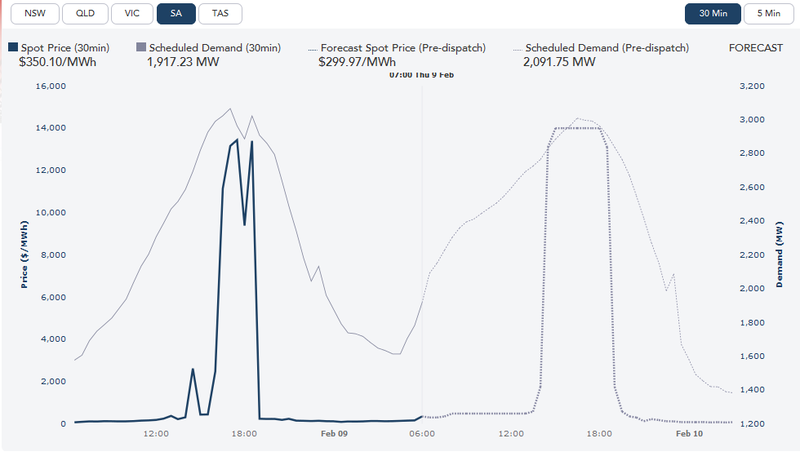 The other critical tool in STT’s arsenal is the Australian Energy Market Operator’s data dashboard website – which, among other things, provides demand forecasts and spot market pricing outcomes for each of the Australian States. That data, combined with the data from Aneroid Energy, demonstrates how prices in the electricity spot market rocket whenever wind power output collapses on a total and totally unpredictable basis (see above). And when we say rocket we mean it: during wind power output collapses the average spot price jumps from around $50-70 per MWh all the way to the regulated market price cap of $14,000 per MWh. 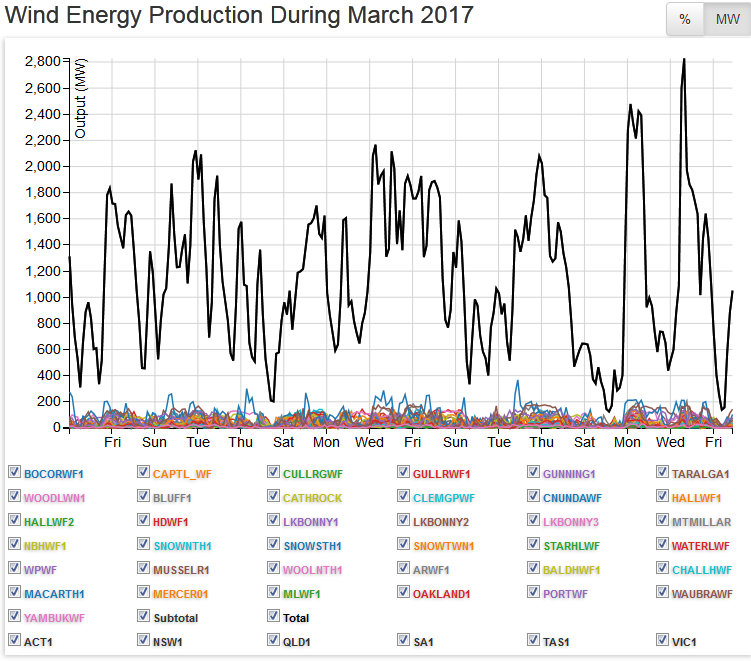 Combining Aneroid Energy’s wind farm output records with AEMO’s data dashboard allows STT to make our point over and over again in pictures: these things do not work on any level. Across the broad range of topics covered by STT, we include, wherever possible, peer-reviewed papers and articles in our posts. Here is a sample of a few of them for those looking for backup in their own battles (we have included links wherever available). Ambrose, S. E., Rand, R. W., & Krogh, C. M. (2012). Wind Turbine Acoustic Investigation Infrasound and Low-Frequency Noise—A Case Study. Bulletin of Science, Technology & Society, 32(2), 128-141. Doolan, C., Moreau, D. J., & Brooks, L. A. (2012). Wind turbine noise mechanisms and some concepts for its control. Acoustics Australia, 40(1), 7-13. Available online. Farboud, A., Crunkhorn, R., & Trinidade, A. (2013). ‘Wind turbine syndrome’: fact or fiction? J Laryngol Otol, 1-5. Harding, G. W., Bohne, B. A., Lee, S. C., & Salt, A. N. (2007). Effect of infrasound on cochlear damage from exposure to a 4-kHz octave band of noise. 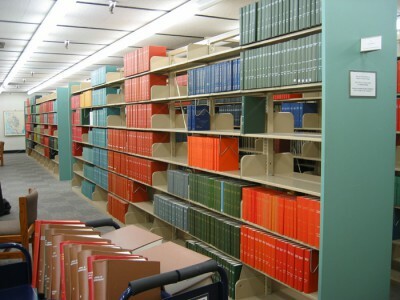 Hearing research, 225(1-2), 128. Hessler, D. M., & Hessler, G. F. (2011). Recommended noise level design goals and limits at residential receptors for wind turbine developments in the United States. Noise Control Engineering Journal, 59(1), 94-104. Jeffery, R. D., Krogh, C., & Horner, B. (2013). Adverse health effects of industrial wind turbines. Canadian Family Physician, 59(5), 473-475. McKenna, H. E., Hemphill, R. R., Etter, C. L., Garrelts, R. L., & Linn, N. C. (1985). Acoustic noise associated with the MOD-1 wind turbine: its source, impact, and control. US Department of Energy. Salt, A. N., & Hullar, T. E. (2010). Responses of the ear to low frequency sounds, infrasound and wind turbines. Hearing research, 268(1), 12-21. Schomer, P. D., Erdreich, J., Boyle, J. and Pamidighantam, P. (2013). A proposed theory to explain some adverse physiological effects of the infrasonic emissions at some wind farm sites. Proceedings of the 5th International Conference on Wind Turbine Noise, Denver 28-30 August 2013. Paper available. Haggett, C. (2012). The Social Experience of Noise from Wind Farms. In Learning from Wind Power: Governance, Societal and Policy Perspectives on Sustainable Energy, (pp. 153-173). Krogh, C. M. (2011). Industrial wind turbine development and loss of social justice? Bulletin of Science, Technology & Society, 31(4), 321-333. Hirth, L. (2013). The market value of variable renewables: The effect of solar wind power variability on their relative price. Energy Economics, 38 (July), 218-236. I’d like to use one of the charts on your page in a book we are publishing soon. Please let me know to whom I should contact about permission. Feel free to use our resources as you see fit. How would i contact someone to use some of the charts on this page in an article we are writing to counter Alexandra Ocasio- Cortez green socialist agenda? We are going to press on February 14th and there are a couple charts that really help illustrate our points. Joe, you’re welcome to treat our site as a resource. I will soon publish a book concerning industrial wind turbines. These monsters have overtaken all other causes for mass mortality events for bats in North America and Europe. Millions of bats are killed each year at a time when mosquito populations are skyrocketing. Approximately twice as many bats are killed as birds, since bats are killed even if they only come near the blades due to rapid pressure changes. In the US, a conservative estimate of bat mortality indicates that at least 4 million bats have been killed by wind turbines since 2012. Bats are one of nature’s primary natural defenses for keeping mosquito populations in check. How can I publish a short summary on this site? If the primary concern is the deleterious effects of carbon dioxide emissions, it matters not in the least who burns your coal. The first thing that any government should do while advocating a switch to energy resources that emit none, is NOT to permit any more mining of coal, whether for export or not. Well, OK, maybe carbon is absolutely necessary for the smelting of iron and most other metals, but not for energy production. But the products of recent sunshine, whether photovoltaic, photosynthetic,rain, wind, or waves, are simply too feeble and capricious to provide a modern industrial civilization. Nuclear energy alone can do that, with minimum emissions of carbon dioxide. The energy resources that we use are fissile nuclei. Astonishing amounts of energy are presently being cleanly produced, with a far better record of safety than coal, oil, or fractural gas, using the very scarce isotope 235 of uranium. But as a matter of fact, even reactors of the very old PWR and BWR designs produce a third of their energy from the synthetic isotope 239 of plutonium, an element that is almost unknown naturally on the Earth. Specially designed reactors have been built to ‘breed’ such isotopes, renewably, and will be built (by China and Russia) whether we do so or not. The waste and energy efficiency per ton of fuel for these reactors is orders of magnitude better even than for BWR and PWR types. Have you ever heard of Fukushima??? and many other nuclear reactor melt downs. Coal is the only answer it is cheap reliable energy and has under written the advancement of modern society for centuries. The big problem are people like yourself who are arm chair experts with crazy ideas and never have to prove or take responsibility for them. There’s nothing crazy about nuclear power, except arm chair experts who are too lazy to do even basic research on the fatalities caused by our various sources of energy. I cannot understand how those effected by wind turbines have not taken a ‘class action’ against the Government for allowing their existence. The effect on humans amounts to a form of torture. I am replying to R Martins comment regarding class action from affected people, like myself, living only 600m from Hepburn Wind industrial turbines. The main reason is MONEY. The wind industry and courts like V.C.A.T. know only too well that people like myself do not have the funds to fight proponents and government departments, namely Sustainability Victoria. I suffer 24hrs a day with the effects of the turbines. I can’t afford to walk off my property and no one wants to buy it. Above all this is my home that I love. I was here before the turbine installation. If R Martin can supply the lawyers Pro Bono, I will fight again and we will WIN. I can prove that corruption weaves its way through government departments and local councils even the health department. What a pandora’s box could do if it was opened. I am a wildlife biologist that has written many articles about the wind industry’s hidden slaughter to protected species in North America. I saw the post on this site with information about a fellow named Nick Valentine or Frank Bestic. Recently a story on wind energy was published and an elusive fellow calling himself Nick Valentine posted many replies to my comments. He called himself an Environmental Scientist. I have serious doubts because he could not ask one intelligent question pertaining to my comments. Could anyone from Stop These Things confirm if this is the same Nick Valentine of if they have any knowledge of this fellow having any higher education? Lastly………. This site may use and reproduce any of my published material about the fraudulent studies being conducted the wind industry to conceal mortality. Having read the rant, that will be THE Nick Valentine. The only qualification he has that we are aware of is a PhD in lying. Although, strictly speaking it was his alter ego, Frank Bestic that was caught telling fibs. Nick is just angry that his beloved industry is finished in Australia: working through the 5 stages of grief. He will be looking for a new job soon, probably selling time-share apartments on the Gold Coast. We suggest you ignore him, he will fade to obscurity soon enough. Thank you, also please spread this breaking news………….In Hawaii a story just broke. The wind turbines over there have been secertly killing endangered species since 2006. In fact a published list with 50 reported endangered species killed by wind turbines has just been leaked to the media. The availability of a carcasses to be found in any mortality study depends on the scientific methodology, search intervals, search plot size, crippling bias, searcher efficiency, and scavenging rates. I have read over at a good number of the studies. When accounting for all of these factors and the severely flawed study methodology used for Hawaii’s wind turbine studies, the real death toll of endangered species killed by Hawaii’s turbines is in the hundreds. This is an eye opening example of the extinction of species coming to the world from wind turbines. Les Huson is an admirable professional of the highest standard. HIs investigation of the many detrimental noise impacts from wind farms is ground breaking and work to be very proud of. He has a remarkable ability to clarify gaps in understanding of the complexity of problems we experience living near this industry of noise. Bob Thorne, Steve Cooper and Les Huson are acousticians worthy of praise and heartfelt pats on the back for the inarguable honesty and the integrity of their work. Yes, our understanding assumes real energy innovation doesn’t injure our towns!!! Wind has injured people, unquestionably so!! Why is there nothing done about the noise of industrial wind turbines? Is it because there are too many people on the take as the industry is a fraud & there are wind weasels & greentards that are nothing more then corrupt (Labor & Greens included)? We were impressed with these expert acousticians as they only gave us the facts. They have helped my family understand why we are being affected and this has helped us understand why we are feeling the way we do. We were suffering for years before we even heard of these people. There really needs to be a study done as per the senate recommendations. Let the wind industry stand on their own two feet and stop our taxpayer dollars supporting them. This money should be put to doing the research into the effects of windfarms on people and animals living near them. I just received an email concerning a Public statement – Waubra Foundation Calls for Public Inquiry. The Foundation has been informed that an “anonymous” document appeared at the office of Michael Moore, CEO of the public health Association of Australia alleging that the Foundation’s CEO Dr Sarah Laurie is conducting research without ethics committee approval and that Dr. Laurie is “practising medicine without being registered” These are serious, and reputation-damaging accusations, deliberately made. This has been transmitted this malicious and anon. document to the NHMRC and the Australian Health Practitioners regulatory Authority, the South Aust. Health Care complaints commission. It was leaked to the media before the NHMRC asked Dr. Laurie for a response. Having also been threatened as reported here earlier what are they trying to do to both anti-wind and decent concerned citizens speaking out. Isn’t this supposed to be Freedom of speech without fear of retribution here? Noted that the scum would not put name to this awful piece of fiction but hoping it will damage Dr. Laurie’s work and that of the Waubra Foundation. Mr.Cooper is a wonderful man. He speaks only the truth along with Dr, Laurie and several politicians who dare to oppose wind turbines. A lot of people think they work only with wind and do not realise they are an industrial machine made of CO2 emitting materials and emit noise.